Over the past months I became interested in the possibilities that crypto currencies have to offer. At first I became interested in the idea that crypto currency could play an important role in (international) money transfers, replacing traditional currency like dollar, euro and pound and replace traditional bank-to-bank transferring methods. At the same time I realised that there still are causes that will prevent crypto currencies to become intensively used in money transferring. The crypto currency market, especially the one for Bitcoin has known many up and down swings over the years since its introduction in 2009. Although there were some near-meltdowns along its path over the years, 2017 proved to be a kind of ‘break through’ year where the price half way 2017 soared from $ 1.000 to $ 3.000. The potential prospect of soon to be realised gains for simply holding on to ones crypto currencies will create an effect where the owners of their crypto currencies rather not want to use them in transferring scenarios. Yet if the owner of a crypto currency would want to use his digital cash for transferring purposes he or she will be faced with many complications. There are still relatively few people (ask the ones around you) owning an ewallet which would allow them to receive or send digital cash. There is no way that different types of crypto currencies are interchangeable. And last but not least there are few (web) shops that accept crypto currencies for paying goods or services. When diving in the technology behind the crypto currency you will find the block chain technology that can be considered as a transparant, autonomous and highly secure way of storing data. The comparison to a world wide operating virtual ledger or spreadsheet is often made. The blockchain technology is what drives and enables crypto currency but blockchain technology can actually be applied for many other purposes. We are witnessing a revolutionary way in which administrative (economical) processes will be changing over the coming years and decades. The concept can even be applied to concepts beyond administrative processes (for example to identity management and asset registration). Without going into detail too deep in the underlying technology we will witness the emerge of an autonomous, transparant, de-centralized infrastructure that offer possibilities in which we currently are using banks, clearing institutes, accountancy and administrative firms to perform most of these activities. With blockchain technology all these activities come under one roof, but without the boundaries and middle men that are usually associated with those activities. 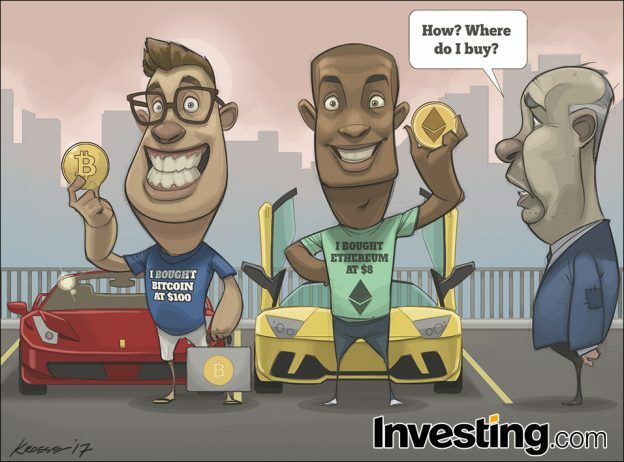 If you look at the developments from this perspective than investing in Bitcoin, Ethereum or one the hundreds of alternative altcoins becomes like investing in a company -like investing in stock-, although lacking the traditional centralized management that we usually associate with the ‘traditional’ companies. It then becomes obvious that the market capitalization of (for example) Ethereum does signal something about its economic relevance and may be compared to those traditional companies. That is why 2017 also saw the break through of ICO’s (Initial Coin Offerings) which somewhat can be compared to the virtual launch of an IPO (Initial Public Offering), the most usual way for a company that is going public by issuing stock and entering the stock market. Let’s take for example a ‘traditional’ company, Apple, which had in June a market capitalisation of app. $ 675 billion, making it the company with the largest market capitalisation in the world. Ethereum had at the same time a market capitalisation of approximality $ 30 billion. 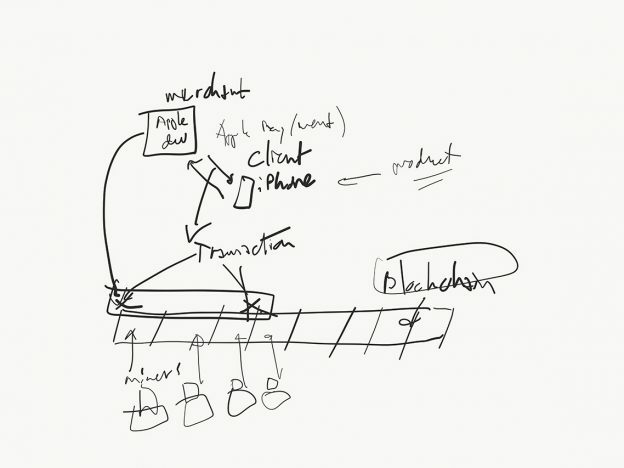 So Apple as a 40 year old company producing computer related products and services is at the moment 20x the size of Ethereum, a highly advanced initiative that takes the Bitcoin blockchain technology to the next level with its abilities of incorporating development tools in its own block chain technology. From such a perspective it is justified to believe that Ethereum one day will become bigger than Apple, measured by its market capitalisation because its added economical value will become at least as significant as Apple’s (and probably much more important). It may be tempting to make calculations about what the pricing of one Ether (Ethereum’s crypto currency) could be like in such a scenario, but one can assume that the current price of ca. $300 is just a fragment of its pricing potential. Others have been less witholding about their predictions about what the the pricing for crypto currencies could become like. All in all investing in crypto currencies is at the moment more like earning a stake in a promising new technology enabled by an initiative that could be typed as a ‘virtual’ company. The traditional lines between stock and currency are blurring as you might one day use that stake (your Ethers, Bitcoins or other altcoins) for actually using it as digital cash. And that would be something that would be impossible to do with regular stock from the ‘traditional’ companies. On the other hand take in consideration that this whole blockchain industry is still in its very early stages. The pricing of the crypto currencies are extremely volatile, because nobody really knows where things are heading. There is always the probability that reading this article in three years time the content seems to be out of date because the playing field has completely changed. This entry was posted in IT, Other and tagged bitcoin, crypto currency, ether, market capitalisation on June 25, 2017 by admin.